In a small bowl, combine lime juice, vinegar, sugar, olive oil, cayenne, and paprika. Set aside. 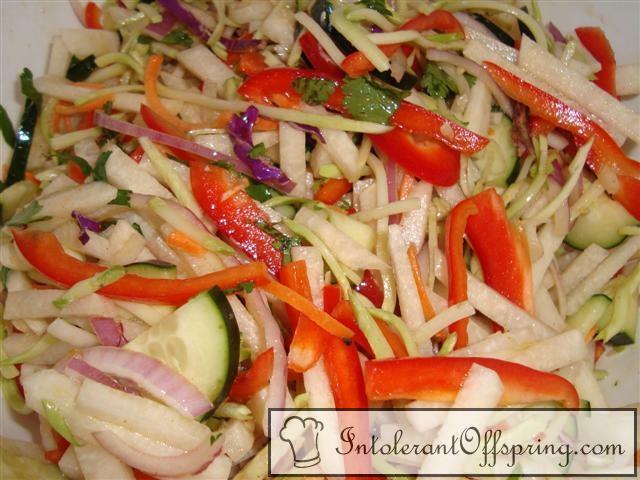 In a large mixing bowl, toss together jicama, broccoli slaw, bell peppers, onion, cucumber, and cilantro. Pour lime juice mixture over vegetables and toss. Refrigerate for at least an hour before serving.